Sure, we still have a few weeks before fall officially arrives, but I’m already daydreaming about future summer vacations. Since my travel bucket list is long, I’ve prioritized my trips according to several criteria (food is a big factor, no surprise there!) and at the very tip top of that list sits…. Spain. Crispy, yet creamy croquetas, flavorful paella, cured meats like Jamón ibérico… I want to experience a comprehensive culinary tour of the country – from tapas to bottom, if you will. This tour wouldn’t be complete without a taste (or several) of traditional Spanish gazpacho. 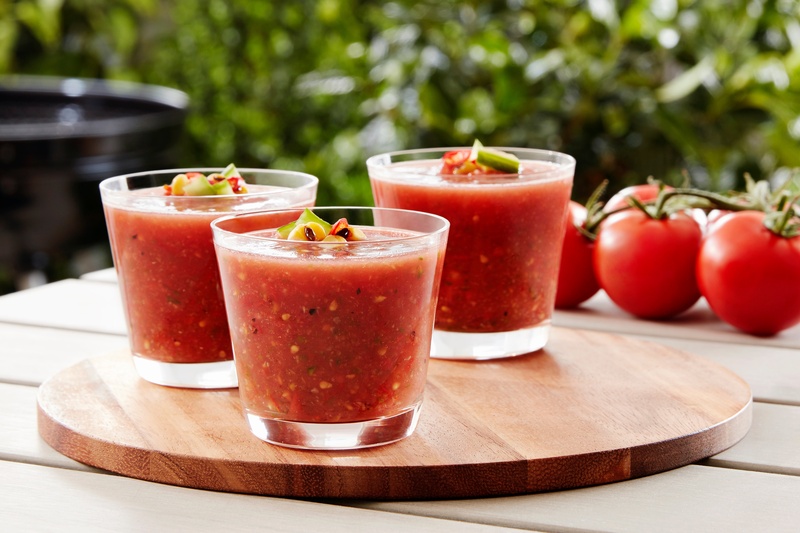 This chilled soup is a star of summertime since it’s refreshingly cool and features a multitude of fresh veggies (Have you tried gazpacho loaded with watermelon or other fruit? YUM.). 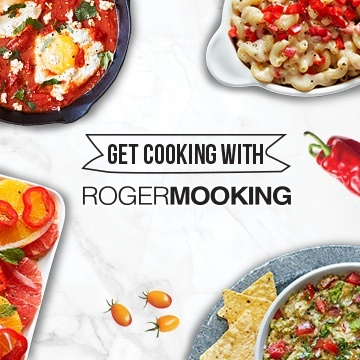 The waning days of summer present a perfect opportunity to incorporate Chef Roger Mooking’s take on gazpacho into your meal plan. Our Campari® tomatoes take center stage in this dish, and the spices, cilantro and red finger chili give it just the right amount of ZING. Sit back, take a bite, and daydream your way to the Spanish countryside… bon voyage! Preheat the barbecue to high heat. 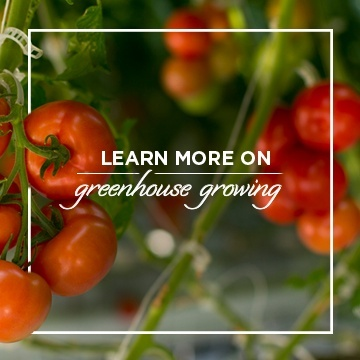 Place tomatoes over direct heat until they are charred, turning gently once with tongs. Once charred, place the tomatoes in a food processor. Add the chili, cucumber, salt and pepper. Blend until smooth then transfer to a bowl, cover and refrigerate. While the Gazpacho chills, drizzle olive oil on corn. Season evenly with salt, pepper and ground coriander. Reduce grill to medium heat and place corn over direct flame. Cook until charred on all sides, approximately 10-12 minutes. Once corn is cool enough to handle, shuck corn kernels from the cob using a sharp knife. Set aside. Serve soup in a bowl or shot glass garnished with corn kernels, sliced chilies, cucumber zest and fresh cilantro.